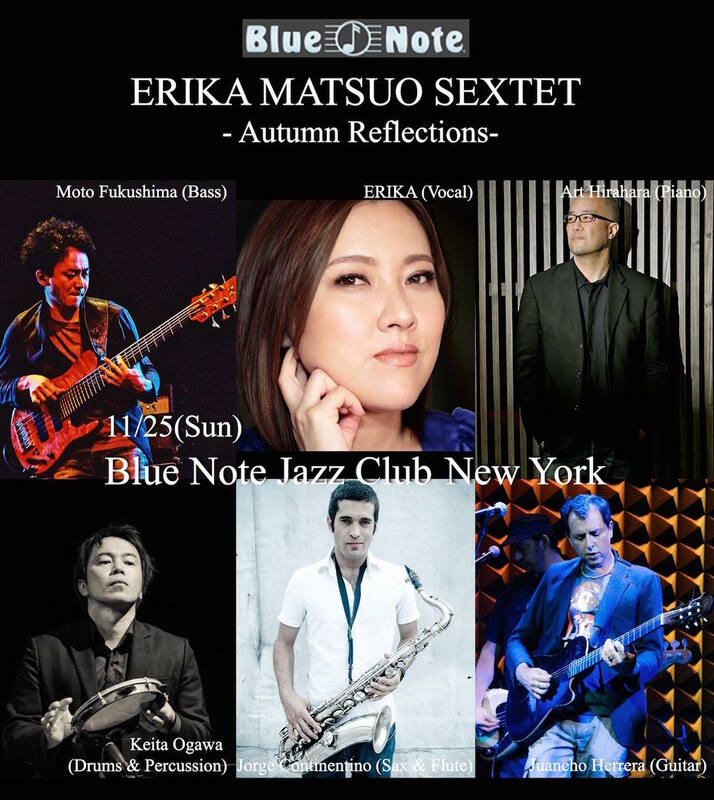 Sunday, November 25 at 11:30 a.m. and 1:30 p.m.
New York-based Japanese jazz singer Erika Matsuo returns to Blue Note Jazz Club for her seventh time, performing two brunch time sessions. Matsuo burst onto the international jazz scene in 2010 with her self-produced album Obsession, a sensual sojourn through American, Brazilian, and original songs, which was hailed by AllAboutJazz as “a promising debut, beautifully produced and finely performed.” She previously self-produced a single, “Close My Eyes,” in 2007. In March of 2012, she did a guest performance for Monday Michiru at the Long Island Jazz Festival. She followed up this to be featured for her “caressing vocals” on the acclaimed trumpeter from the Duke Ellington Orchestra, James Zollar’s 2013 album All Good People. 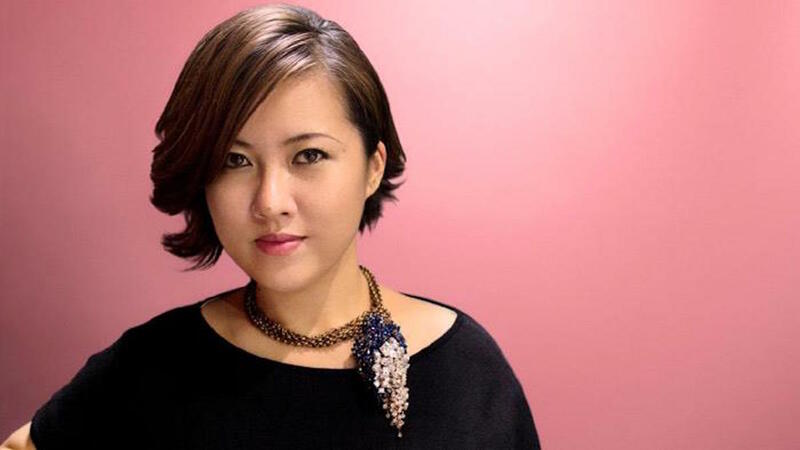 Also in 2013, Erika released third album, True Colors, which was chosen by the prestigious Japanese jazz website Jazzpage.net as “Finest Vocal Album of 2013” and awarded her first place on the Jazz Page Readers Poll. While back in Japan in August of 2015, Erika appeared on the popular national TV show Woman on the Planet and was featured on a recording session and a behind-the-scenes video with Japanese super model/celebrity Rola. In 2017, Matsuo released her latest album, Reflections, on which she performs songs written for her by Monday Michiru and renowned jazz pianist Yusuke Hirado. More than 14 different musicians record with her on this album including Steve Wilson, David Gilmore, and Johnathan Blake. During the year, Erika did a few guest performances for Hirado’s new project “Yusuke Hirado Prospect.” In October 2017 she was named Lifetime Ambassador of Tourism in her native Miyama city, Fukuoka. She was also featured on the cover of the city Council Newsletter. This year she performed at Rockwood Music Hall and invited Moday Michiru as a guest and she had another show with saxophonist Steve Wilson at Jazz at Kitano in August. For more information and to make a reservation for the first set, please click Blue Note Jazz Club’s website here; to make a reservation for the second set, please click here; or call 212-475-8592.